Nowadays, eBooks come in all shapes and sizes, but how do you make your one stand out from the crowd, without the headache? Welcome to the world of the luxury looking eBook! 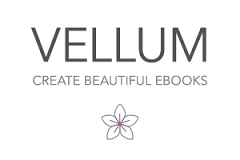 As an author, I invested in Vellum (an iMac exclusive, super luxury piece of software) that produces the most amazing insides you could hope for. It'll spit out custom files for all the major stores, too. But it's not cheap. Not everyone will want to shell out the kind of cash I did, and even though I find it easy to use, those of you who are less computer savvy might shudder at the idea. Then I had the thought–I should make the offer to put your eBooks together using my software, and charge you a much smaller amount than what I paid to purchase Vellum, plus I have the knowledge of how to use it. First up, you need to see what I mean by luxury. Take a look at my free short story series, which is linked below. There is so much more that doesn't show in this book (like the section dividers–for that, maybe do a Look Inside on any of my novels and I'm sure you'll see what I mean). A PDF (can be word, or Pages doc too) of your entire text (including your acknowledgements etc). I'll include a really cool copyright page so don't worry about that. Your Payment. This is handled through PayPal and has to be made before I'll take on your project. Just send payment to: paypal.me/THeath/50 (or change the 50 to 85 if you want both versions) and confirm with me just after via email when you send through the above information. You'll be sent all files after they've been generated for all the main eBook markets, as well as a generic version suitable for all other stores. Within reason* I will make any changes to the final version FREE of charge and resend you all the files. For your part, please only submit an edited final version. *This is to correct any things you missed…if abused, I retain the right to limit the total number of revisions, but will notify you before the last one. Use the Subject Line: Luxury Looking eBooks to help me properly identify it.